Don't risk making a bad purchase – check out these tips before you buy. If you're in need of a new phone, television, computer or another high-tech item, you may be in the market to buy used electronics. This method can save you money over buying these products brand new, and doing so also helps the environment, because it keeps perfectly operational products in use rather than sending them to a landfill somewhere. Those are pretty strong positives about buying used electronics, but as most people are aware, there are also potential drawbacks to this practice: First and foremost, the fact that you aren’t sure whether the electronics are in good condition. Although a quick once-over might reveal that the devices look perfect, there are underlying elements to electronics that can cause them to be virtually useless if they’ve been compromised. Myriad problems can corrupt electronics, including water damage, overheating or trauma. 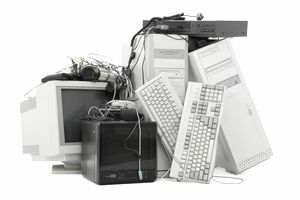 To help you more accurately evaluate used electronics before you purchase them, check out a few simple tips. Before purchasing a used electronic item, research that specific model number using some online research so you know what to look for. Does that model typically short out after two years of use (and the one you're looking at is three years old?) Are these products known to feature batteries that don't hold their charge? These are important things for you to know – that way, you can prepare for any issues that may be about to impact the item you're considering buying. The first and most obvious thing to do when checking out used electronics is to plug them in and turn them on. Although this sounds very basic, there are often circumstances when people rush through the purchase and don’t take this step. Don’t follow this method. Make sure you take the item inside to test it and at least ensure that it works before you pay for the product. Just because an electronic device looks like it’s in good shape doesn’t mean its shiny appearance isn’t masking an underling issue. Examine the cord for signs of fraying or bending, and check the ports to ensure they have no signs of burning, charring or foreign objects in them. If it’s a computer or other item that has a fan on it to ensure it remains cool, make sure the fan runs so the product doesn’t overheat. In addition, you can sometimes look for signs of water damage – some phones and other items will have an indicator that changes color when exposed to water. Know where to look for the specific model you’re planning to buy so you can see if it has been exposed to water during your evaluation. This is an important factor to consider, even though it may seem obvious. If you have a TV set up in your house with an HDMI cable and wireless internet, you can’t buy a television without a port for HDMI or Wi-Fi capabilities. Likewise, if you just invested in Air Pod earphones, you won’t want to buy an iPhone that has an older-style earphone jack. Take a look at all of the accessories you currently use with your electronics and ensure that they translate to the new one as well so you don’t end up spending your money on something that will end up costing you more in the long run by forcing you to buy additional products before you can use your new electronic. In some cases, you can purchase used electronics that are refurbished, certified, and even carry a warranty. This isn’t possible with Craigslist purchases and some other online or in person services, but you can often find deals online that offer warranted pre-owned electronics. These might come with a slightly higher price tag than those you’d find on Craigslist, but the peace of mind may be worth the extra few dollars. Even if the warranty is only for a week or two, that buys you some time to test out the product and ensure that it’s in good working order before you’re locked into keeping it.